Arriving in Venice by train is the best solution for people who arrive from other parts of Italy, and from neighbouring countries as well: the city of Venice is connected by International railway lines to Switzerland, France, Austria, Germany, Slovenia, Croatia, Serbia and Hungary. 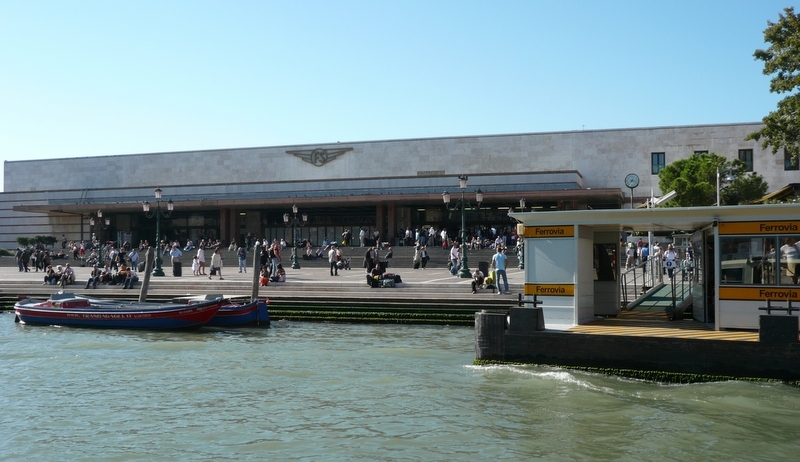 People who choose to get to Venice by train will get off the train at Santa Lucia railway station – it is worth to remember that the station of Venezia Mestre is instead located in Mestre, on the mainland. Tourists who arrive in Venice by train will find themselves already in the heart of the town, as Santa Lucia station is located in the district of Cannaregio, only 20 minutes away from Rialto Bridge and in front of one of the bridges which cross the Grand Canal.